Air tanker 73, an S2T, flown by Mike Venable, July 15, 2013 on the Mountain Fire in southern California. USFS photo by Steve Whitby. James Barnes wrote the article below for the Associated Aerial Firefighters’ Facebook page September 2, 2018. We asked and received permission to use it here. Mr. Barnes retired after flying S-2T air tankers for CAL FIRE and DynCorp. 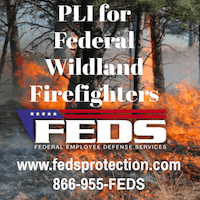 A reporter from the Sacramento Bee called me the other day and told me that she was advised, by unnamed persons, that I may be able to shed some light on the problems that are resulting from the pilot shortage CAL FIRE is now experiencing. As a retired, former airtanker pilot, I am not encumbered by any affiliation to any organization, employer or agency. That being said, I still follow my own protocol or personal code with regard to statements that I make that could be harmful to persons or organizations or programs that in my opinion are doing a great service for our Citizens and Taxpayers. In my experience in dealing with the press I have found that there is always “the law of unintended consequences” looming in the background. It must always be considered before and during any interview where your opinion could potentially be used as a weapon in a salacious report. In speaking with this lady during the preliminary discussion before the interview it was my determination that her intent was to get the story right and get it out to the public. That left me with two choices; to refuse the interview and hope that someone else would get the facts straight or tell the facts as I understand them and accept the consequences. I chose the latter. In the beginning of our discussion she demonstrated that she had already gained a substantial understanding of CAL FIRE’s Aviation Program and the current situation. She cited the worldwide pilot shortage and I agreed that, yes, it had finally come. 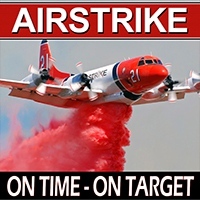 She inquired about why CAL FIRE quite suddenly was unable to staff all of their airtankers and air attack ships. She even mentioned some names of management personal that she had heard might have contributed to the current situation. My reply was simply this; “I cannot confirm allegations concerning individuals and the fact is, it isn’t that simple”. 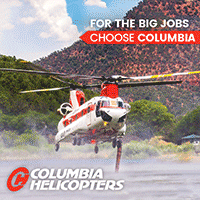 “For years The California Fire Pilots Association, the IAM, our Union, and the Associated Aerial Firefighters have advocated for the development of new and better aircraft and an air program that stabilizes both the pilot and maintenance workforce. Many times, dedicated agency officers worked with us to accomplish these goals. They realized that improvements in “quality of life” issues and job security are essential to retaining skilled employees. Sometimes, individuals in management did work against our efforts but for the most part we prevailed and together developed an air program that is light years ahead of anything that came before. The pilots and maintenance technicians in CAL FIRE’s air program are today now better than ever. She was aware of the high dropout/attrition rate of airtanker pilots in training and she wanted to know what was causing it. I gave her a very lengthy response. 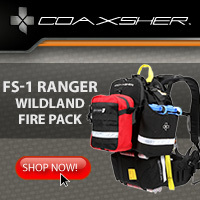 “First aerial firefighting is far more complex today than it was when I started thirty years ago. A fatal accident every other year in the S-2 airtankers convinced us we were doing something wrong. We needed better training. New training programs were developed and instituted and our casualty rate was greatly reduced. Greater demands and expectations were placed on our trainees. This resulted in an intensive training regimen that spans one to two fire seasons no matter what walk of aviation the trainee came from. During these grueling sessions some trainees decide that tanker flying isn’t for them. In other cases, trainees have trouble adapting to the environment. Multi-tasking in conditions of low visibility, at very low altitudes, at minimum safe airspeed can produce very high stress levels for even the most seasoned airtanker pilot. Still others find that the life style of an airtanker pilot is not compatible with their life style or the needs of their families. All these situations point to the need for a better screening program of applicants before they are accepted in the training program. It would help to have them ride along or act as a co-pilot to introduce them to the environment and see if they are adaptable before being designated as a trainee. Impressing upon them that the demands placed upon them will be very great requiring a dedication to the mission that may be beyond what they are willing to deliver. Secondly, the current situation is a result of circumstances. 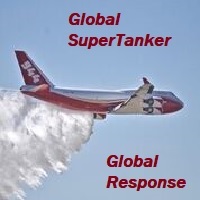 Three tanker pilots retired, one of our best tanker pilots died suddenly of natural causes, two pilots are temporarily out of service for illness and one of our young, skilled tanker pilots quit to fly a large airtanker for another industry company. Until recently there were enough reserve and relief pilots that could fill the seats as needed. With such a high turnover in such a short time all the relief pilots were absorbed forcing them to fly the line. Now on any given day at least three S-2 airtankers are parked because there are no pilots to fly them”. “From the instant of ignition, the window of opportunity for stopping the fire is beginning to close. CAL FIRE’s primary strategy is Rapid Response Initial Attack. During the extreme burn conditions, we are now experiencing air support for our ground firefighters is crucial. in some cases, an air response will be the only response in the first critical twenty minutes. 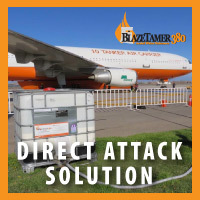 The loss of three airtankers puts big holes in our tactical spread that delivers that air response in the first 20 minutes. Any delays in our ground and air forces will cause some fires to escape the initial attack resulting in more large fires”. She asked about the fatigue levels of pilots because off the intensity of this fire season and the lack of any relief pilots to give them a break. 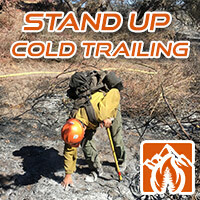 “Both CAL FIRE and the CFPA have been working together to find a solution. 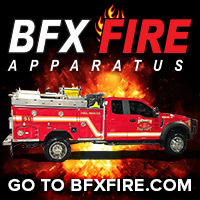 Firefighting pilots make their entire annual income during the period of the contract. Flying a southern contract involves demands beyond what the standard four-month contract requires. They shouldn’t receive a penalty in pay to achieve the necessary adjustment in duty schedule but something must be done soon”. She asked me if there were other factors affecting pilot recruitment and retention. “It’s the little things that count. One example of a small thing that caused a large reaction from the pilots was a newly implemented state policy to have pilots who were working away from home base to find a motel room that cost no more than $90.00 per night and that if one couldn’t be found to price three motels and choose the cheapest one. After flying for seven hours on fires and finishing a ten-hour duty day it doesn’t seem reasonable that a pilot should have to shop around for the cheapest possible motel room. I guess the Comptroller didn’t know the difference between a computer operator and a tanker pilot. It wasn’t the money so much as it seemed to be a lack of respect. No one would ask every individual firefighter to go out on their own and find the cheapest room available in town after fighting a fire all day. Fortunately, that policy was discontinued this year”. 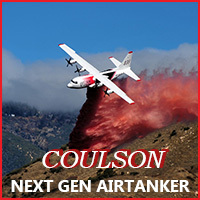 “Our highly skilled, young airtanker pilots are a coveted item for many other industry companies. Offers to fly a large, four engine jet airtanker for more money are very tempting. Too many little things or quality of life issues can sway a young Tanker Pilots judgement from staying in CAL FIRE’s air program or moving on to what looks like greener pastures”. We talked about the terrible problem with vegetation management in California. She said that the Bee is doing a story on that issue too. She commented briefly on that story. I got a little off the track but I thought she had done a comprehensive study on the issues and I can only hope that her story has a positive effect. GREAT ,INFORMATIVE ,article written by James Barnes!. Thank you for sharing this ! Thank you. 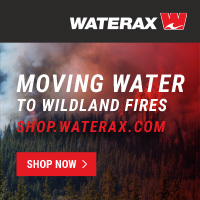 We seldom hear of the work and sacrifice that goes on behind the scenes that make those retardant drops possible.